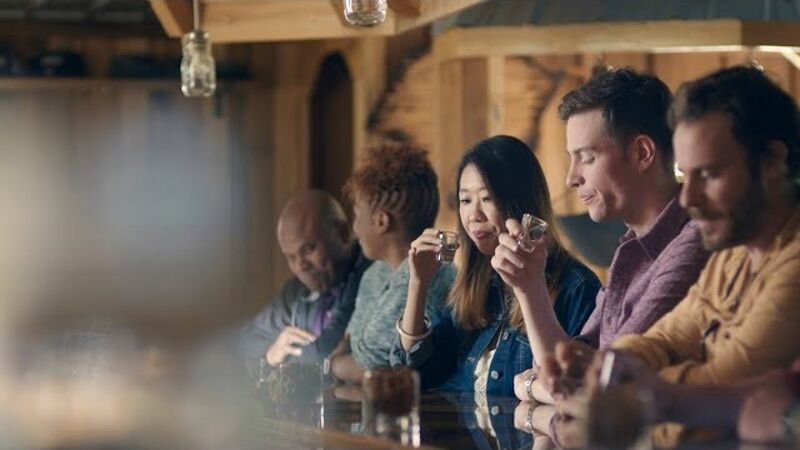 Zac and Tomo, a real-life couple from New York City, weren’t sure what to expect when they ventured here to try moonshine for the very first time. 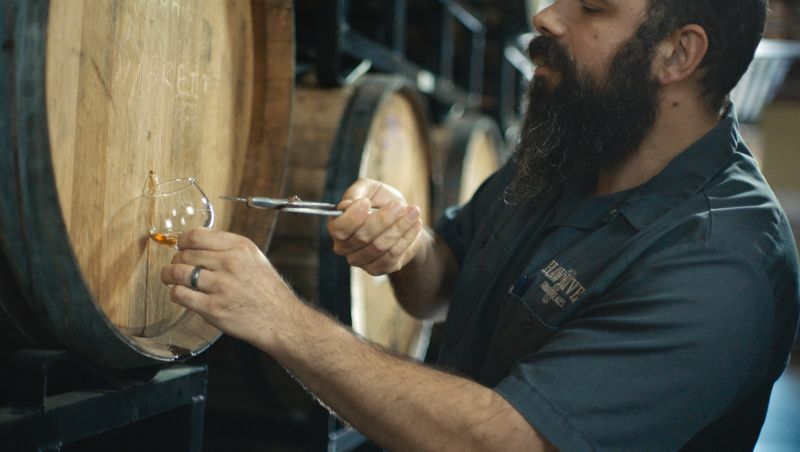 But while this formerly illicit libation was once bottled in secret by the light of the moon, they’re about to find out that the care that goes into North Carolina’s farm-to-table food scene is as clear as day. Moonshine, farm-to-fork eating and a refreshingly peaceful way of life – there was plenty to explore on Zac and Tomo’s journey. Go inside their trip to learn more and discover what firsts you might experience in North Carolina’s central region. And now for something completely different. 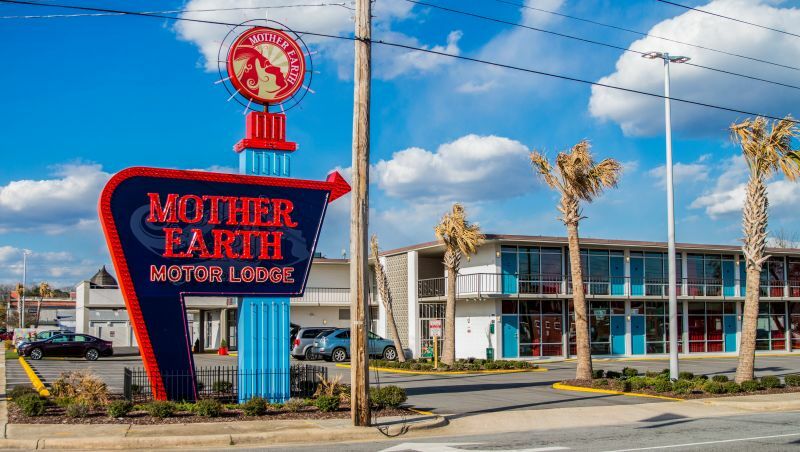 Put a little retro funk into your exploration of North Carolina’s agricultural heartlands at this memorable hotel, the sister company to Kinston’s beloved Mother Earth Brewing. Your first stay at an authentically 1960s motel will be hard to forget, with everything from psychedelic bedding to a concierge rocking bell bottoms. Zac and Tomo stayed here. Broadslab boasts being North Carolina’s first farm distillery, and its all-natural spirits are made up of ingredients often harvested on distillery land. Visitors can book tastings and tours Thursday through Saturday. Zac and Tomo get their first taste of moonshine with a sip of Broadslab Legacy Shine, a white corn whiskey recipe that’s been passed down for generations in the owner’s family. 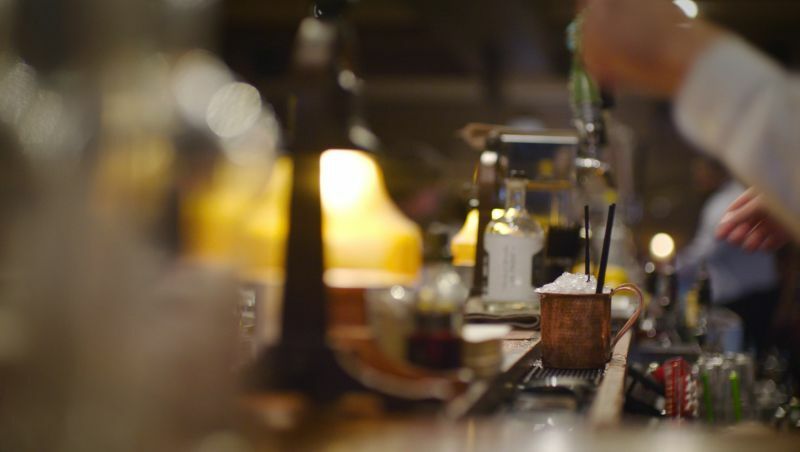 Frequented by locals and visitors alike – a selection of more than 500 spirits might be one reason – The Crunkleton is the place to head on Franklin Street for cocktails and conversation. You have to be a member to enter, but $10 at the door will buy you membership for a year and admittance with one friend. Zac and Tomo ordered Moonshine Mules, one of the spot’s many creative concoctions. Don’t be afraid to go off-menu and order it when you’re there. Topo is proof not all distillery tours feel like a trip back in time. 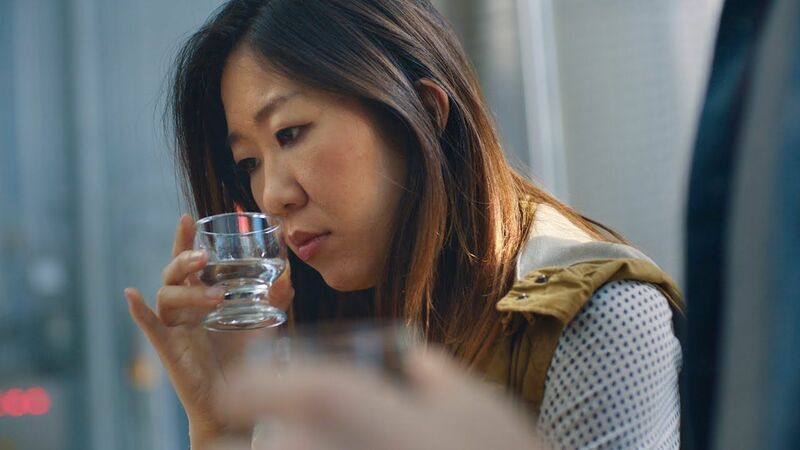 For a modern, local spirits experience, take a tour of the country's only Green Plus Certified distillery, a certification so earned for excellence in sustainability. Tomo and Zac tasted Topo’s Organic Moonshine, an unaged whiskey that gets its smoothness and taste from locally grown wheat. 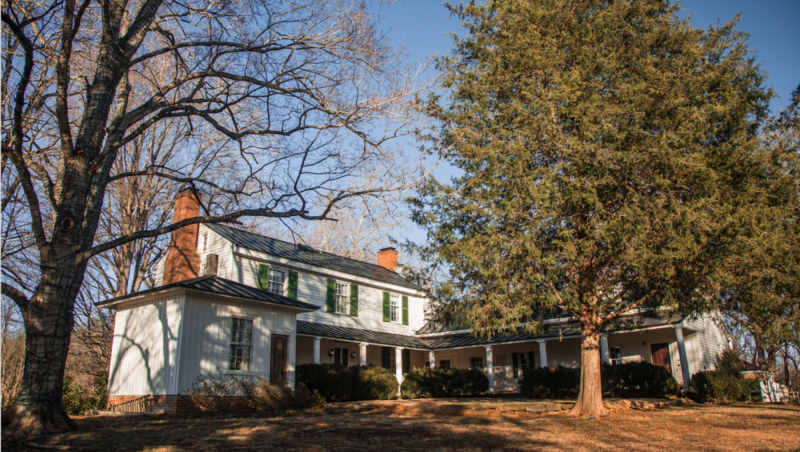 Stay close to Chapel Hill at this National Register of Historic Places landmark, where your stay includes complimentary wine and cheese in the evening and a homemade breakfast. With only four guest rooms, it isn’t hard to have the grounds to yourself for a full family getaway, or book a single room like Zac and Tomo did. 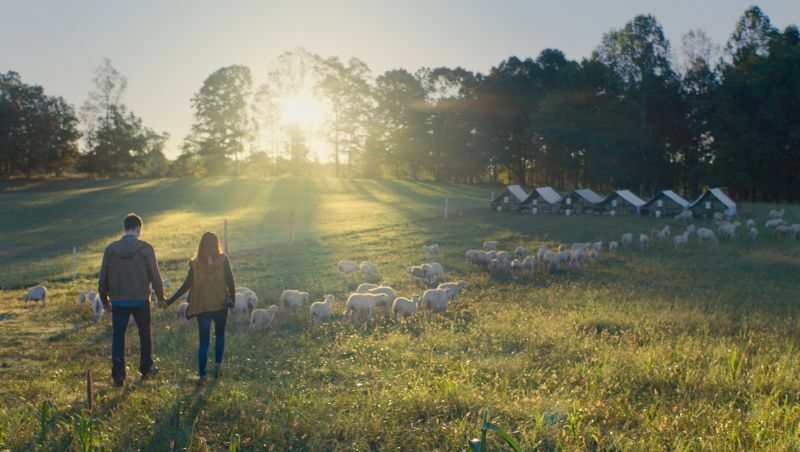 Saxapahaw is helping lead the charge for a slow-food lifestyle, and that’s why Left Bank Butchery’s meats are organic, local and sustainably sourced. Built on supporting local agriculture and providing healthy food to the community, Left Bank also educates its customers on the important aspects of sustainable farming. 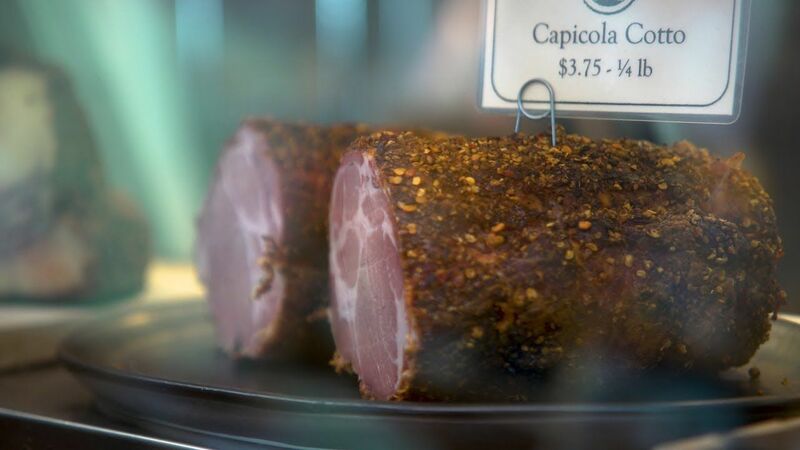 Stop in for a ready-to-go meal or explore the cheeses and fresh bread from the Village Bakehouse and create your own charcuterie board. 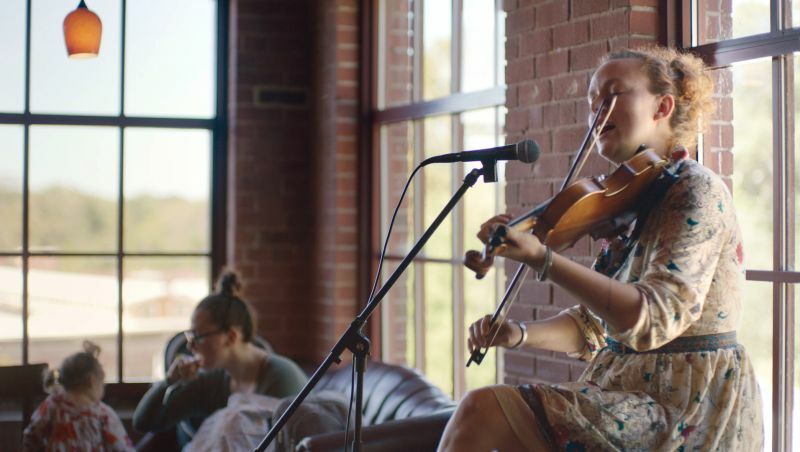 While menu options at The Eddy might range from classic Southern comfort to European bistro, they’re all served with the intention of making you feel at home – and, if you’re here on a Friday, a bit of live music. While stopping at The Eddy Pub, Tomo and Zac sampled a selection of cheeses and charcuterie, all local to the area. Belgian-inspired, locally sourced: The beer here is an unconventional take on conventional brewing. Be on the lookout for a few ingredients that might take you by surprise, including pine needles and fresh roasted sunchokes. Can’t make it to the alehouse while you’re in Saxapahaw? Haw River brews are served at a variety of restaurants and drinking holes in the area. At Reverence Farms, sheep, chickens, cows and more are grass-fed, pasture-raised and wholly appreciated. Visitors can stop by the adjoining cafe for a daytime meal including Sunday brunch. Queens residents Tomo and Zac have been to countries all over Asia and Europe, but they’d never been to North Carolina. Most people wouldn’t think of a farm as a vacation destination. Neither had Zac and Tomo until visiting Reverence and discovering the joys of this sustainable, peaceful way of life. Want to discover even more in North Carolina’s central region? When a state’s most dazzling urban escapes are surrounded by wineries, barbecue and battlegrounds, who could blame you? Explore North Carolina’s piedmont to uncover what else awaits.